Touring the Presidential Suite at the Embassy Suites by Hilton Mandalay Beach Resort in Oxnard, I admired the 1,600 sq. 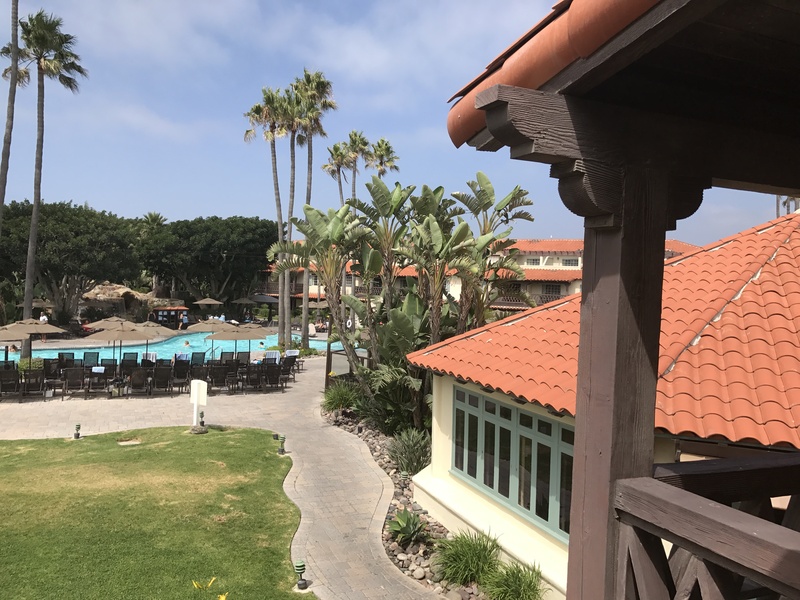 ft. space that includes a spacious master bedroom complete with a king-size bed and balcony looking out to the Pacific Ocean. There is an adjoining bathroom with a large inviting whirlpool soaking tub. The second bedroom features two queen-size beds and a full bathroom with walk-in shower. The grand living room and dining area have another balcony looking out to the picturesque Channel Islands. Appreciating the views, I wanted to learn more about the Channel Islands chain that runs from Santa Barbara County down to Los Angeles County, dotting the Pacific Ocean. Meeting Christian Hellot, Director of Sales and Marketing at the onsite Coastal Grill restaurant for a California garden, farm and from-the-sea dinner we discussed the various islands while enjoying Executive chef Jacob Anthony Bernard’s new menu items. 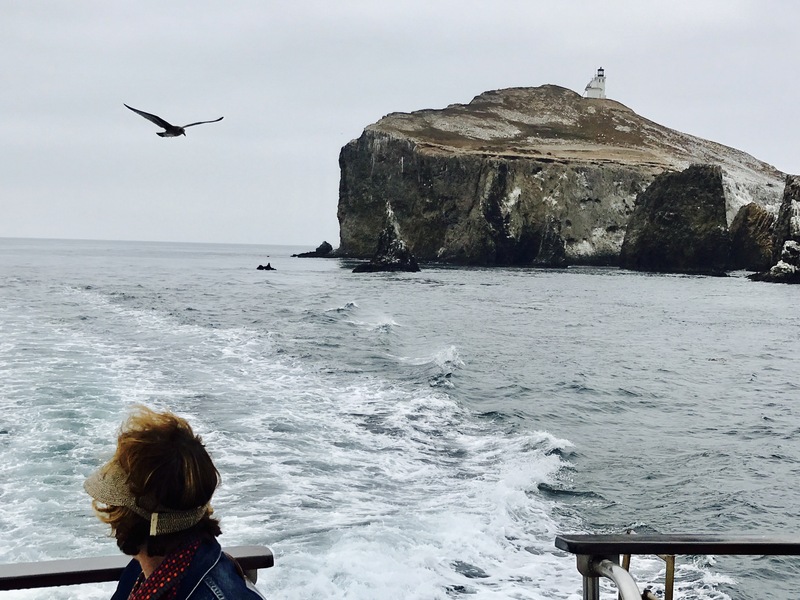 Hellot recommended I take an Island Packers cruise to Anacapa Island, since it is the closest island to the mainland, just 12 miles from the Channel Islands Harbor. Island Packers offers an array of cruises to some of the Northern Channel Islands. After dinner I went to my 600-square-foot two-room suite for a good night’s sleep. I appreciated the size of the separate bedroom and living area. One room had a king-size bed and adjoining granite bathroom with a tub/shower. There was a dining area with refrigerator, microwave and wet bar near another granite bathroom. My room on the second floor looked out to a tropical garden and pool area with two heated whirlpools. I opened my bedroom window and a cool, coastal breeze and the distant sound of the waves breaking on the beach lulled me to sleep. The next morning I met my friend Janis after enjoying a complimentary breakfast buffet at the Coastal Grill. 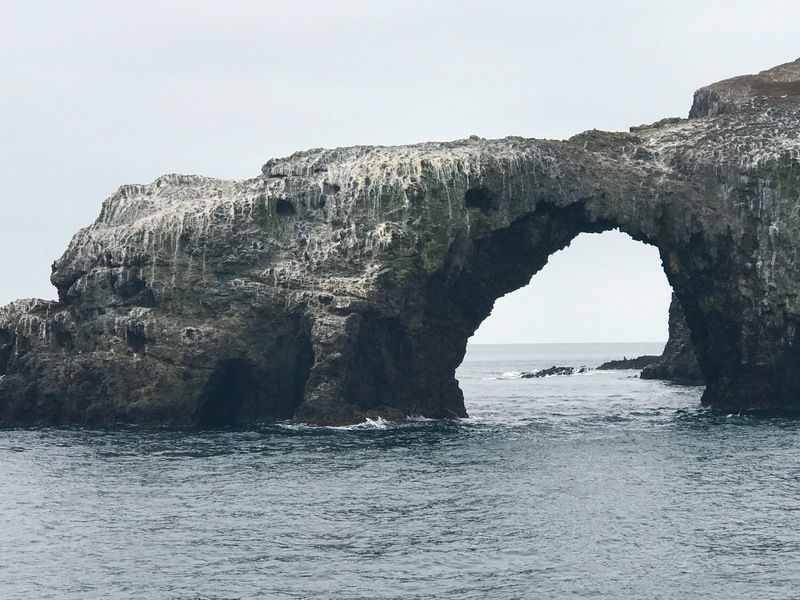 We discussed taking an Island Packers Wilderness Cruise to see some of the area wildlife and learn more about Anacapa Island. After we checked in, we stopped in at Honey Cup cafe for sandwiches, chips and waters to enjoy on the boat ride. The sea was calm and the sun was peeking through the fog, as one of the crew members informed us that Jacques Cousteau once said that Anacapa Island was one of his top 10 diving destinations in the world. Staying on-board we learned more about the history and significance of Anacapa Island. A historic lighthouse is located on one of the islets to prevent shipwrecks when the island is covered in fog. Approximately 90% of the sea birds in Southern California are born on this island. As there are no predators, it’s a nesting area for seagulls, California brown pelicans and cormorants. This island is five miles long with 200 sea caves, towering sea cliffs, natural bridges and a forty-foot-high Arch Rock. Kayakers and photographers find it one of the most picturesque islands of all the Channel Islands National Park. On the backside of the island, we saw hundreds of California sea lions warming in the sun. 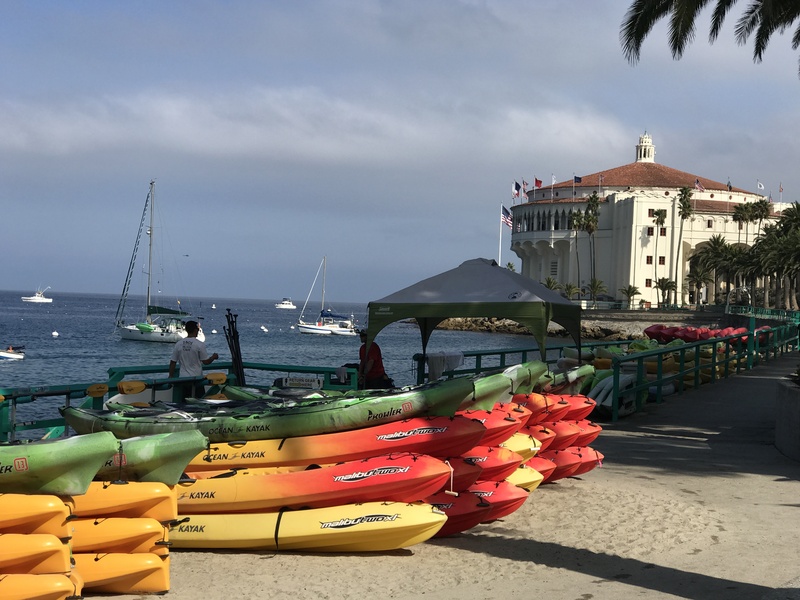 Learning more about the different Channel Islands, we discovered that Santa Catalina Island is the only inhabited island. Approximately 4,000 residents live in the city of Avalon, a Mediterranean- looking town that is about one mile wide and one mile long. The best way to explore this Southern Channel Islands is by another boat charter company, the Catalina Express. It’s about an one hour boat ride from Los Angeles County. Near Santa Catalina Island are San Nicolas Island and San Clemente Island. Both are controlled by The United States Navy and are off limits to the public. Santa Cruz Island is the largest of the eight islands and is partially owned and operated by the Channel Islands National Park Service. It’s managed by the Nature Conservancy and other organizations and foundations as a preservation and research center. This island offers coastline cliffs, giant sea caves, pristine tide pools and expansive beaches. 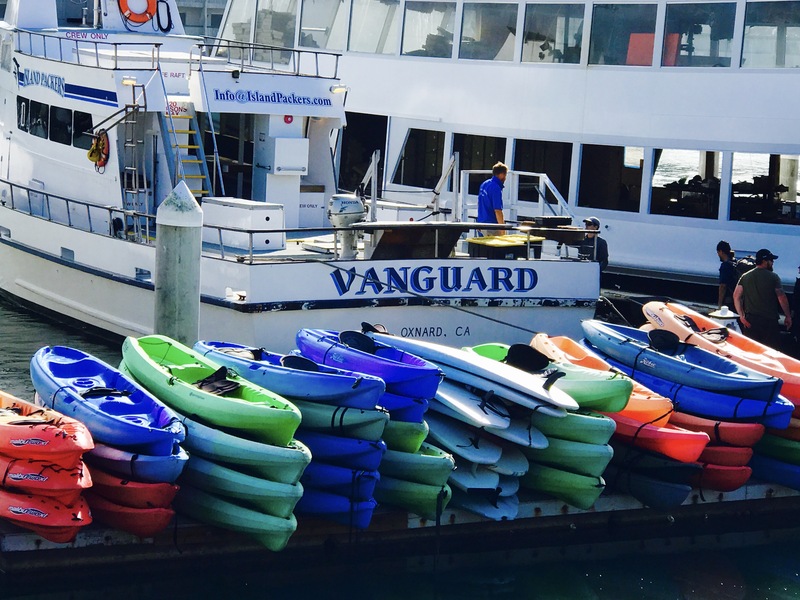 Those who take an Island Packers boat ride to the island will learn about the island’s rich cultural history, which includes over 10,000 years of Chumash Indian habitation and over 150 years of European exploration. Visitors will see remnants of adobe ranch houses, barns, blacksmith and saddle shops, wineries and a chapel from the 1800s and 1900s. Cruising back to Oxnard, we followed, at a safe distance, two enormous blue whales swimming in the deepest part of the channel. 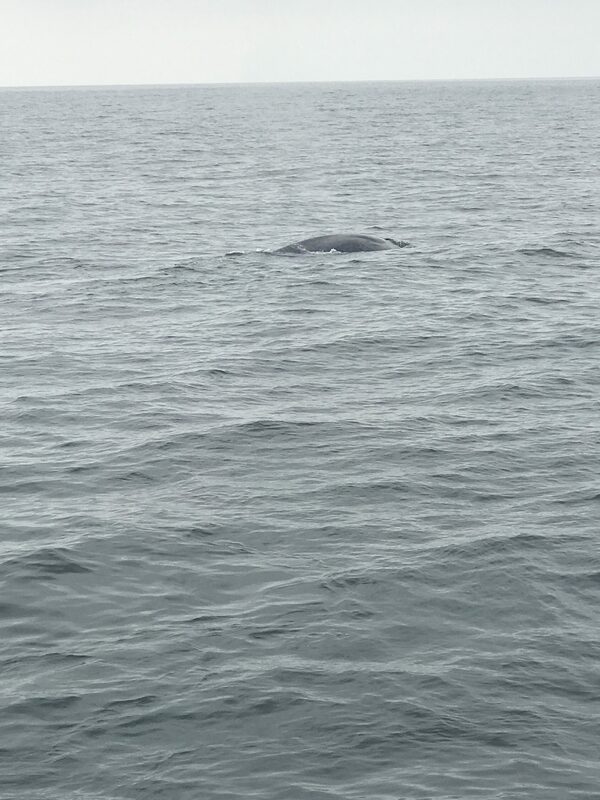 Their blowholes were about the size of a manhole cover. Coming back to the hotel before sunset, hotel guests gathered by the lagoon-style pool for the complimentary Evening Manager’s reception, which offered an array of bar snacks and beer, wine, cocktails of the day and non-alcoholic beverages for guests. 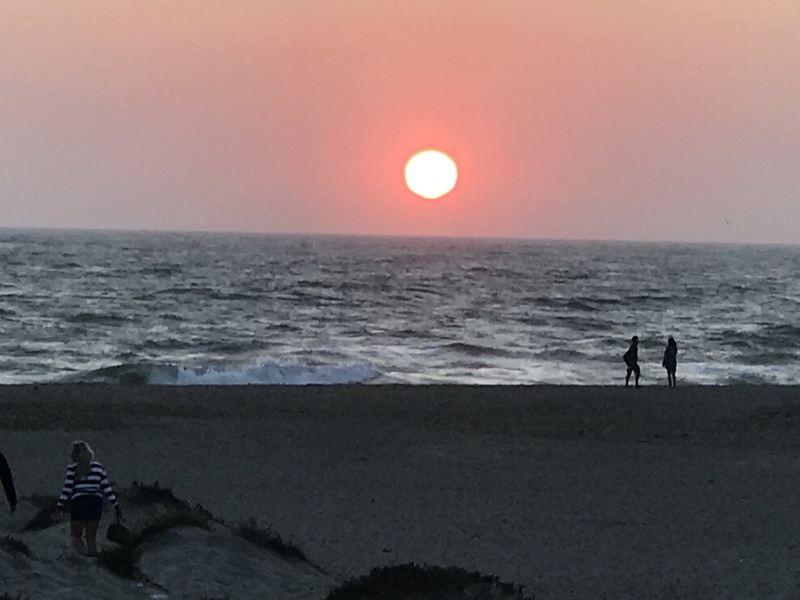 With a glass of wine in hand, I walked to the beach and admired the silhouette of the islands against the sun setting. 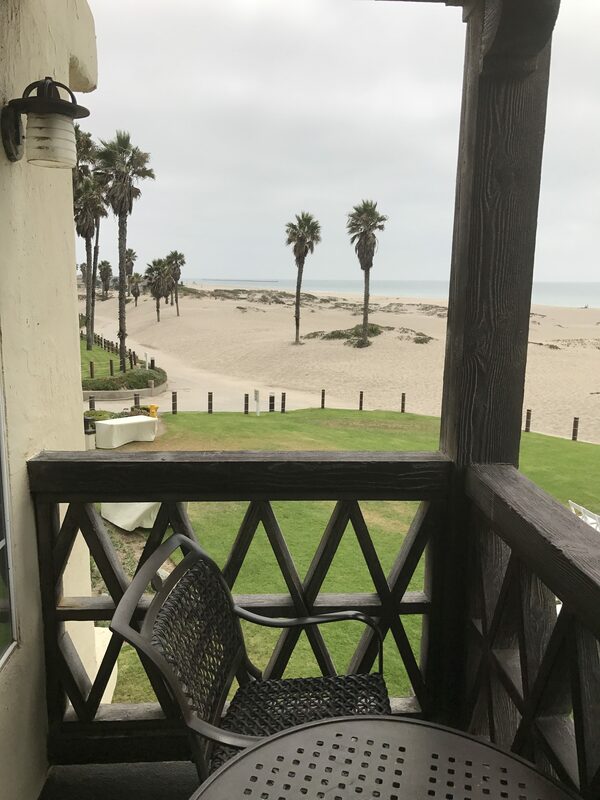 Reflecting on what I discovered, Oxnard offers a beachfront resort along an uncrowded beach and is a great home base before and after taking a boat ride to one of the many unique Channel Islands.